Ghandi once said, “be the change you wish to see in the world.” With the political climate being what it is these days, don’t worry this is by no means a political commentary, we are hearing a lot of talk that sounds revolutionary. 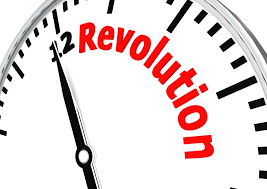 I think however the “revolution” needs to start a bit closer to home. By that I mean the person that is looking back at you in the mirror. We are the only ones responsible and capable of changing the directions of our lives as a singular, which in turn will begin to change the directions of life as a whole. Take our health as an example. There is sufficient evidence out there if you take the time to look, that the state of health, food, happiness, stress, you name it, is often in a place of imbalance. There is so much information and dis-information out there that the easy thing to do is to quit paying attention, just do what you do. That is a sure fire formula for a health state which is much less than what we deserve or desire. Sadly being unhealthy and heading towards sickness is easy, just stop being attentive to what you put into your mind, body and soul. But, here is the where the revolution begins… self awareness. So take a look at that face in the mirror and decide to start your own personal health revolution. “I resolve to be more conscious of what I eat”,”I resolve, even though sometimes I don’t feel like it to find some sort of physical activity I enjoy and make time for it everyday”, “I resolve to make different/better choices at the grocery store”, “I resolve to take time for myself to read/pray/meditate/journal…whatever it is that gives me more mental peace and ease.”… You get to fill in the rest of the blanks. This is a personal revolution, and it starts and ends with the only person who is capable, YOU! Go for it.